Let’s Go for a Sleigh Ride! But who is going to pull? 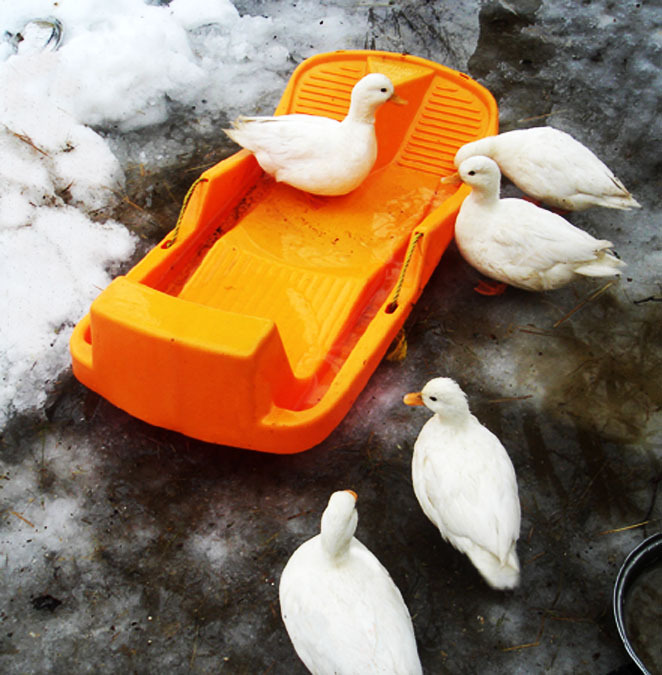 The ducks rejoiced at the milder temperatures and rain today, after a couple of weeks of hard winter already.